Thirty people had to be rescued from ice shanties on the Bay of Green Bay during Sunday’s whiteout snowstorm. Three DNR wardens and the Sturgeon Bay Fire Department rushed to the scene after getting a call for help around 1 p.m. The group was about two miles off shore. They got stranded after gale-force winds created drifts that made it impossible for their vehicles to move. They were taken to shore via snowmobile. 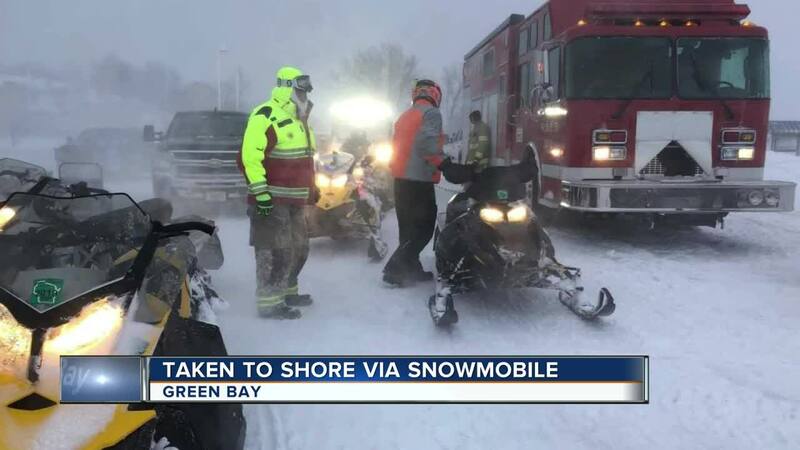 GREEN BAY, Wis. — Thirty people had to be rescued from ice shanties on the Bay of Green Bay during Sunday’s whiteout snowstorm. Three DNR wardens and the Sturgeon Bay Fire Department rushed to the scene after getting a call for help around 1 p.m. The group was about two miles off shore. They got stranded after gale-force winds created drifts that made it impossible for their vehicles to move. They were taken to shore via snowmobile.